How many runners can a portable toilet fit at one given time? We are not focusing on the number of people who can comfortably use a portable toilet at one go. It’s is more about understanding the size of a standard portable toilet based on the number of people it can fit at a given time. On Twitter, a few runners showed their competitive edge by boasting about the total number of people that were accommodated in their portable toilet. A running club known as RHSXC had a total of 40 runners in their toilet facility while MileSplit had about 33 runners. A different running group had about 16 people at a given period. The competition was run with the hashtag #PortaPottyChallenge. 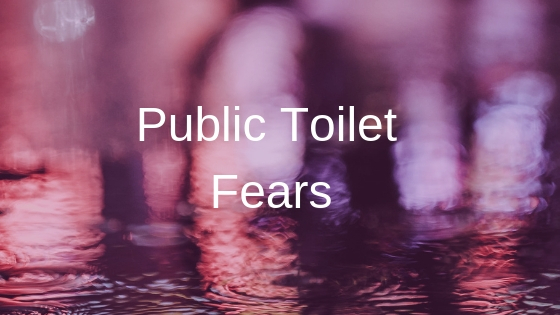 1) The average size of the unit: portable toilet facilities come in varying sizes and some are standard why others can come in slightly wider dimensions. Runners that hired bigger units were more likely to fit more people than those using smaller facilities. 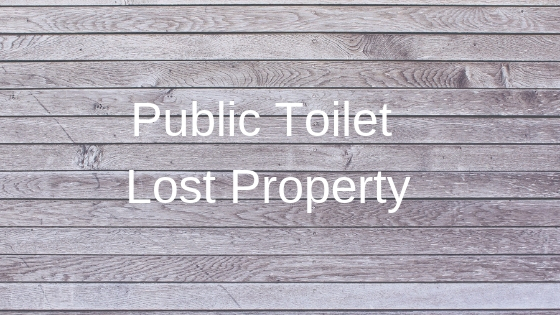 The portable toilet used by Princeton High school track and field team was slightly bigger in dimension than those used by other athletic clubs in the contest. 2) The gender mix of the contestants: It is easier to fit in more people of the same gender than when you’ve got a mix. The videos from most contestants clearly indicates either an all male or all female group. 3) The average size of the contestants: The portable toilet units held more runners when they were either slender or petite. The winning runners were mostly those from high school where they were mostly growing teenagers. 4) The presence of kids: In some instances, contestants went in with kids and some of the dad’s of these kids carried them on their shoulder. In these instances, more people can be accommodated as those kids will not occupy any standing space. 5) Good sense of body positioning and alignment: Certain people find it quite easy to fit into a given space with the appropriate body angle, thereby creating room or space for others. Individuals who constantly board busy and packed trains or buses will have a good acumen or awareness in standing in the most efficient manner that makes enough room for others to fit nicely. 6) The will to win: It was a fun competition as could be seen from the expression of the contestants. Often times, the will to win, can always give people the extra push or desire during competitions. 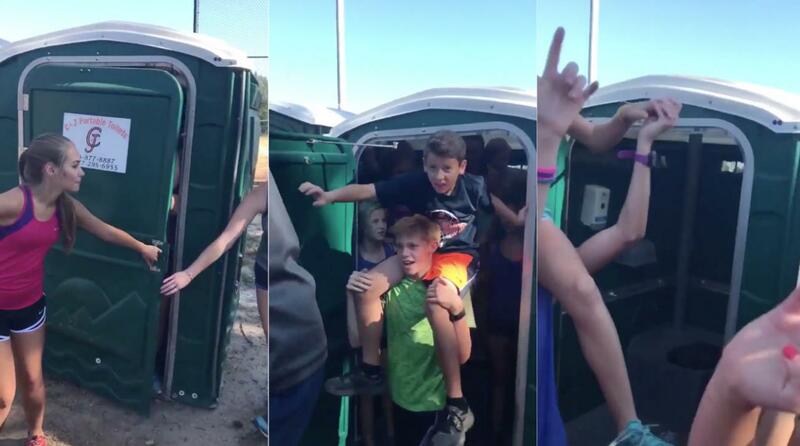 Going into a portable toilet with a bunch of people is not the best way to have fun. But when a particular running club or group is fired up to win, no sacrifice will be too much to make in achieving the desired goal. 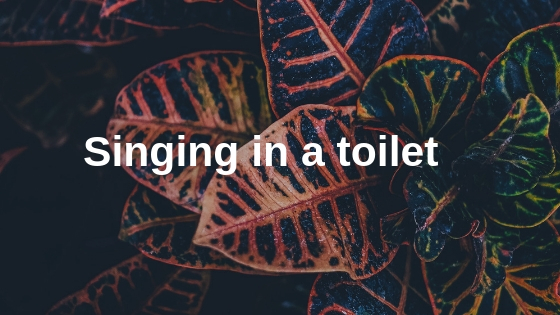 Like most things in life, portable toilets often come in different sizes. During the competition, runners in a wider facility were able to accommodate more people than those in smaller units. The dimensions of most standard portable toilets are height x 2316mm, depth x 1215mm, and width x 1166mm respectively.